In 1951 Isamu Noguchi began to design the Akari Light Sculptures, works characterised by weightless luminosity. He chose the name 'akari' for these objects, a word that means 'light' in Japanese, connoting both illumination and physical lightness. During a journey to Japan, Noguchi paid a visit to Gifu, a town known for its manufacture of paper parasols and lanterns. While there he sketched his first two Akari Light Sculptures, and over the following years he created a total of more than 100 models, consisting of table, floor and ceiling lamps ranging in size from 24 to 290 cm. The round Akari lamps are available with either straight bamboo ribbing or with a wavy bamboo pattern. 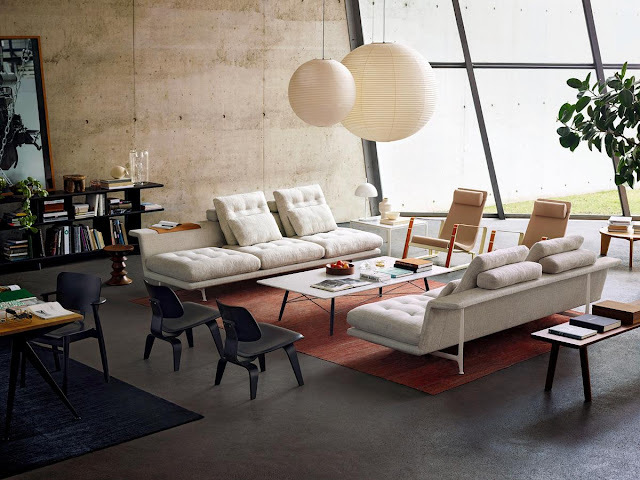 Isamu Noguchi's designs remain mainstays of modern interiors thanks to their timeless mix of Japanese minimalism and American mid-century form. 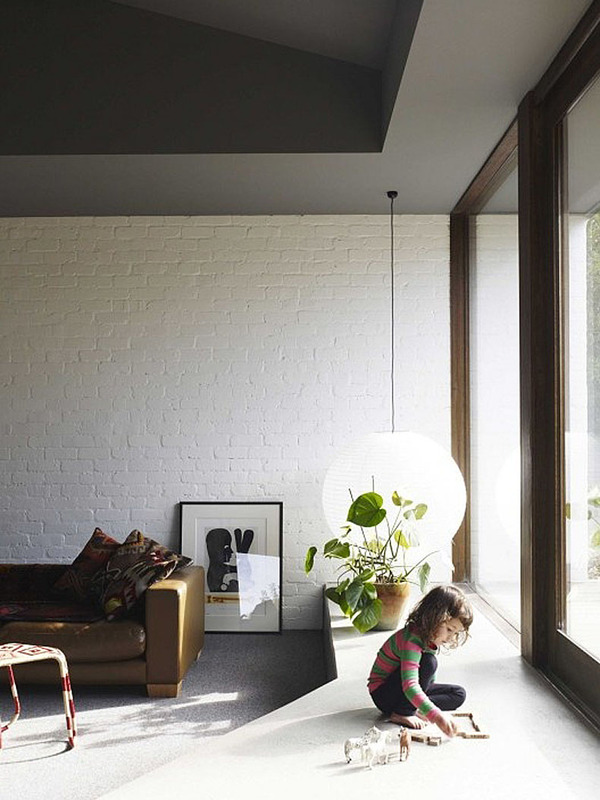 Discover Noguchi's instantly recognisable Akari Lamp series here in our collection. Each luminaire is meticulously crafted by hand in the Ozeki workshop, a traditional family-run company based in Gifu. In a first step, bamboo rods are stretched across the original wooden forms designed by Noguchi to make the framework that determines the object's shape. Handmade shoji paper, derived from the bark of the mulberry tree, is cut in strips to fit the size and shape of the lamp and then glued to the bamboo ribbing. After the glue has dried, the wooden form is removed and the shade can be folded. The Akari Light Sculptures are packed for shipping or storage in flat boxes developed especially for the luminaires. Bamboo ribbing is stretched across wooden moulded forms then paper is glued onto both sides of the framework. Once the glue has dried and the shape is set, the internal wooden form is disassembled and removed. The lantern can be collapsed and packed flat for shipping. Lampshades: shoji paper, some partially painted. Some models with end pieces in wood/bamboo. A functional lamp with artistic quality, the Noguchi Akari has a paper lantern shade. The Isamu Noguchi Akari lamp -inspired by the traditional Japanese paper lanterns- is one of the design icons of the last century. Functional art: Renowned for his sculptures, Isamu Noguchi brought his sculptural sensibility to everything he fashioned, from landscapes and furniture to the iconic Akari lamps that he first designed in 1951. The Isamu Noguchi Akari lamp reminds the traditional lantern in all the parts and materials used -it’s made of paper handmade from the bark of the mulberry tree with a very simple and light wooden structure- except for the traditional hand-painted decoration: the designer preferred a blank surface instead. 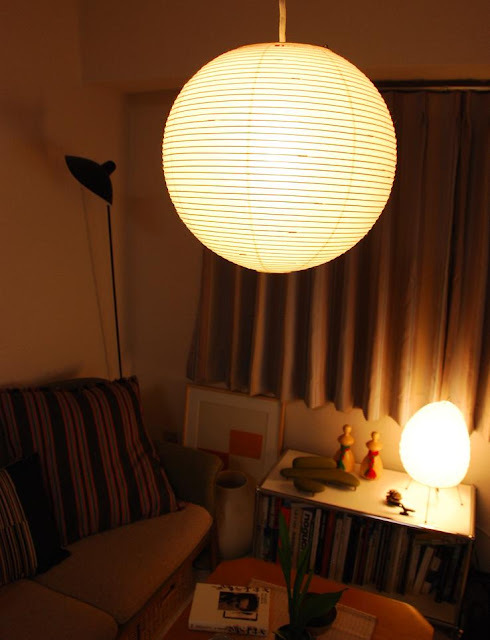 The name chose for the lamp was “Akari”: that means variously as ‘light’, ‘sun’ or ‘moon’. The first one was produced in 1951 and since then the Isamu Noguchi Akari lamp has changed its design going from organic to geometric forms. 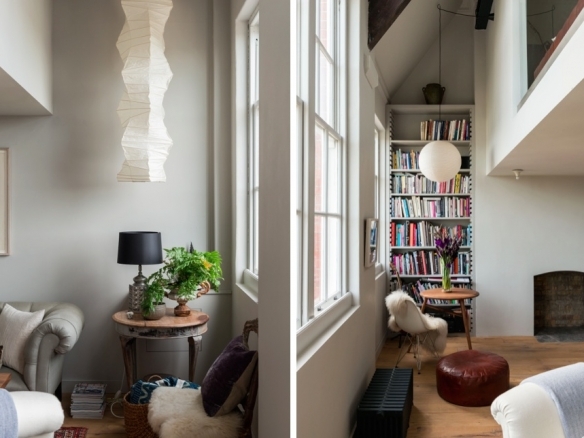 From the 50s to the 80s Noguchi designed more than 100 different variants of it creating hanging, standing and floor lamps. Envisioned as a modern interpretation of traditional Japanese lanterns, Akari Lamps were created in the 1950s by Japanese-American sculptor and designer Isamu Noguchi and they remain essential classics today. 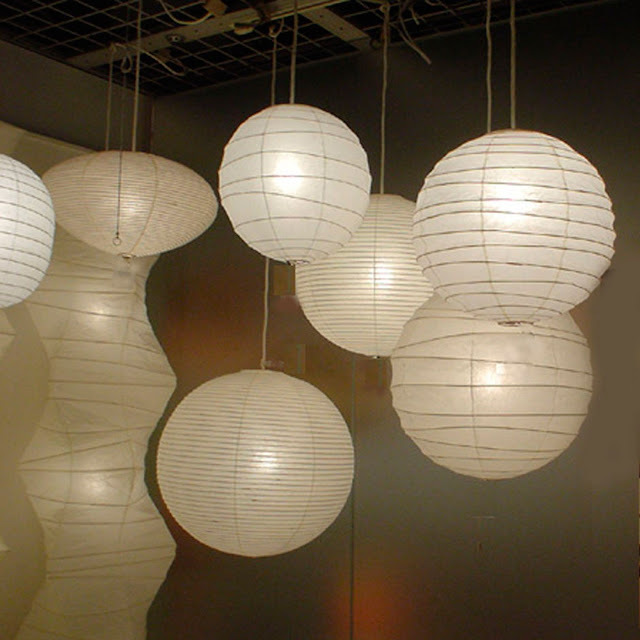 Hand crafted by a cottage industry in Japan of mulberry paper over a bamboo structure, they create a soft, welcoming light in any interior application. No comparison to low-quality copies, each Akari piece features a symbol of authenticity as an authorized edition of the Isamu Noguchi Foundation. While experimenting with the artificial light in the 30s and 40s, Noguchi created the Lunar sculptural works that -with their unreal shapes, biomorphic forms and hided lights- were often used as interior decorations as well making subtle the difference between art and design. Noguchi Akari Lighting - Isamu Noguchi Akari Light Sculpture One of the most important artists of the twentieth century, Isamu Noguchi (1904–88). The same philosophy -almost 20 years later- was the inspiration for the Noguchi lamp conceived to be practical and sculptural at the same time. The story of Akari began when Noguchi visited Gifu City, about 270km west of Tokyo, to see cormorant fishing on the Nagara River. Hemmed in by mountains, Gifu Prefecture is known for its traditional crafts: the making of chôchin (lanterns), wagasa (traditional umbrellas), uchiwa (bamboo fans) and woodcraft. “The mayor of Gifu City at that time asked him for advice on how to revive the traditional lantern-making industry,” says Chikahiro Shinoda, the director of Ozeki & Co Ltd, the Gifu-based lantern manufacturer that has been producing Akari lamps for 62 years now. 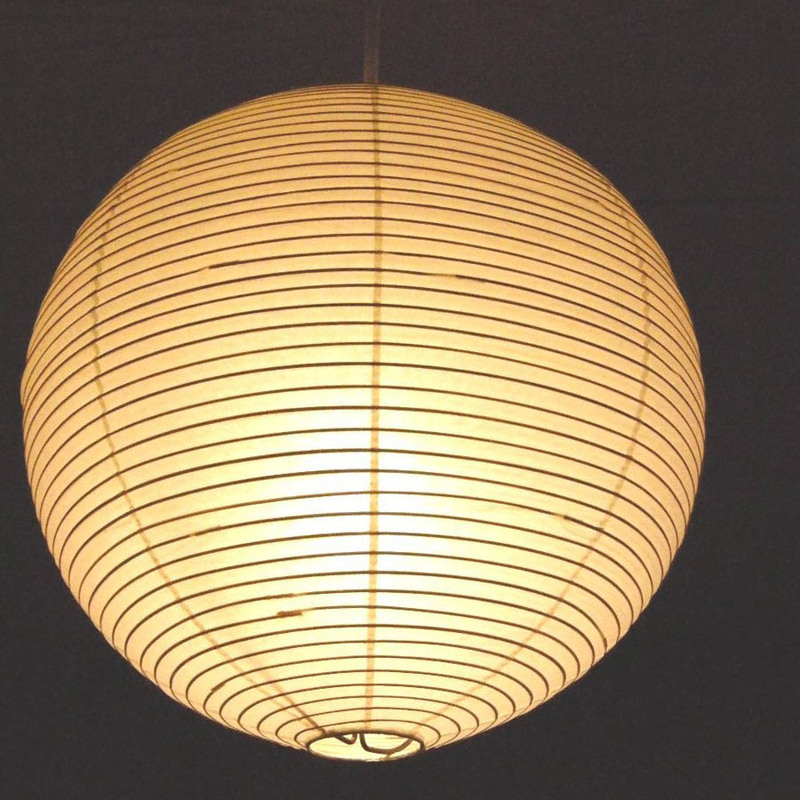 Founded in 1891, Ozeki produces handcrafted lanterns and lighting devices. 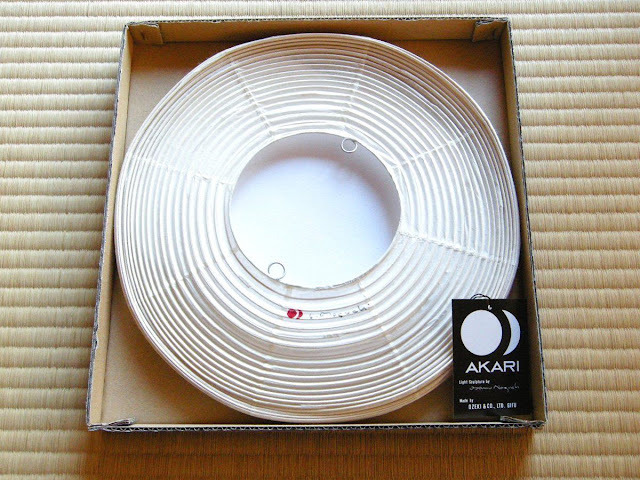 The Akari series makes up only 15% of its production while the company’s main revenue comes from Obon (Festival of the Dead) and decorative lanterns. 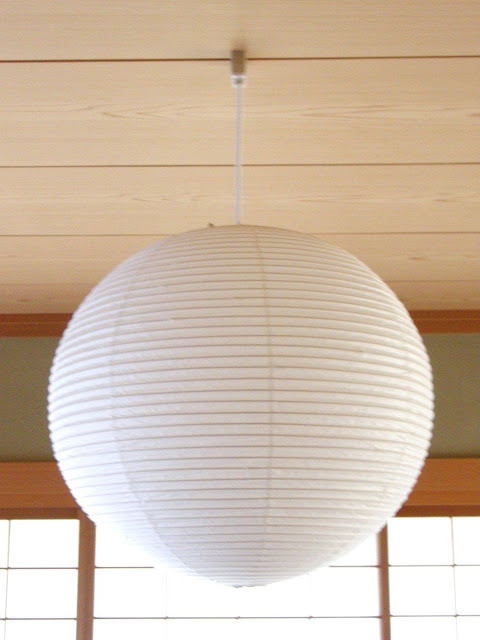 Ozeki is also purveyor of lanterns for the Japanese imperial household. 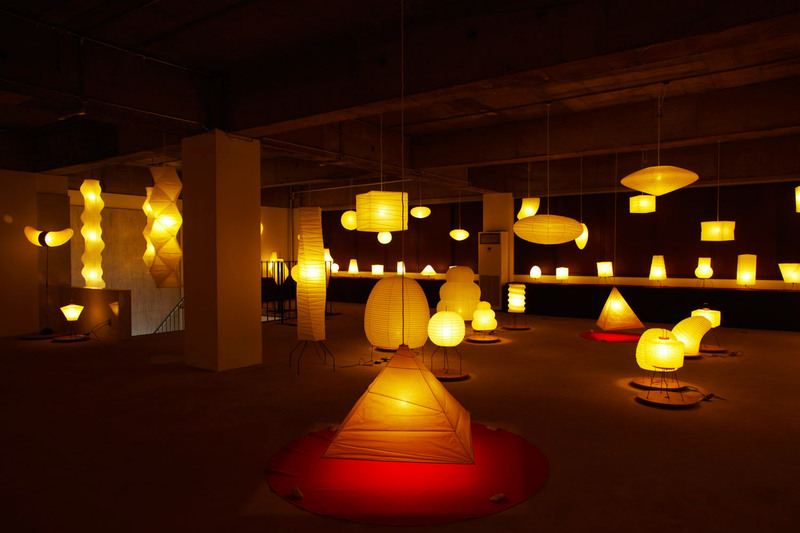 Noguchi conceptualised Akari as a “light sculpture” with a practical purpose. He coined the name “akari”, which means “light as illumination” in Japanese, also implying lightness as opposed to heaviness. Born in Los Angeles to an American mother, Leonie Gilmour, and a Japanese father, poet Yone Noguchi, the sculptor spent his childhood in Japan before returning to the United States for his education. 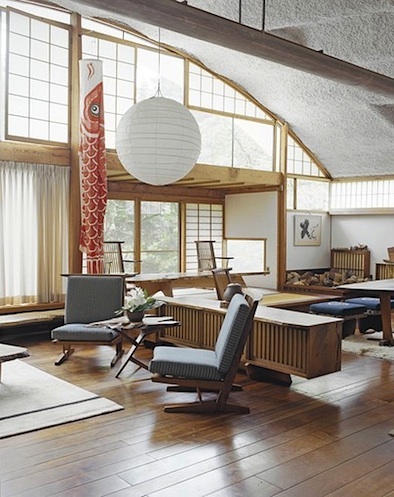 Throughout his life, Noguchi shuttled between homes in America and Japan and straddled the two cultures effortlessly. For Akari, he melded the simplicity of Japanese aesthetics with the principles of contemporary art and design. 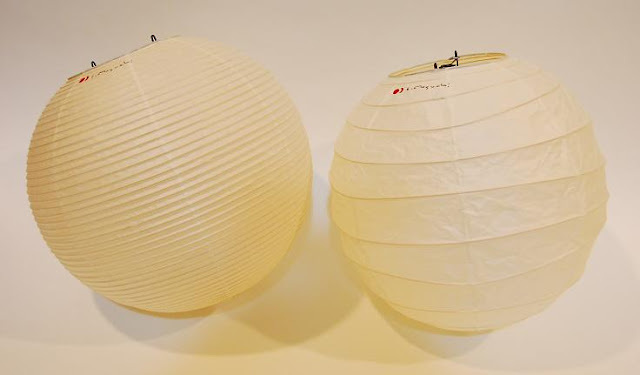 In the biography The Life Of Isamu Noguchi (Princeton University Press, 2004), author Masayo Duus wrote that the lanterns might have reminded Noguchi of living with his mother and father in Tokyo as a toddler. On dark nights when little Isamu could not see the reflection of “Mr Moon” on the shoji (sliding, wood-framed door covered with rice paper), his father would bring in a lantern covered with translucent white paper from his study. When Isamu saw its comforting light he quietly drifted off to sleep. 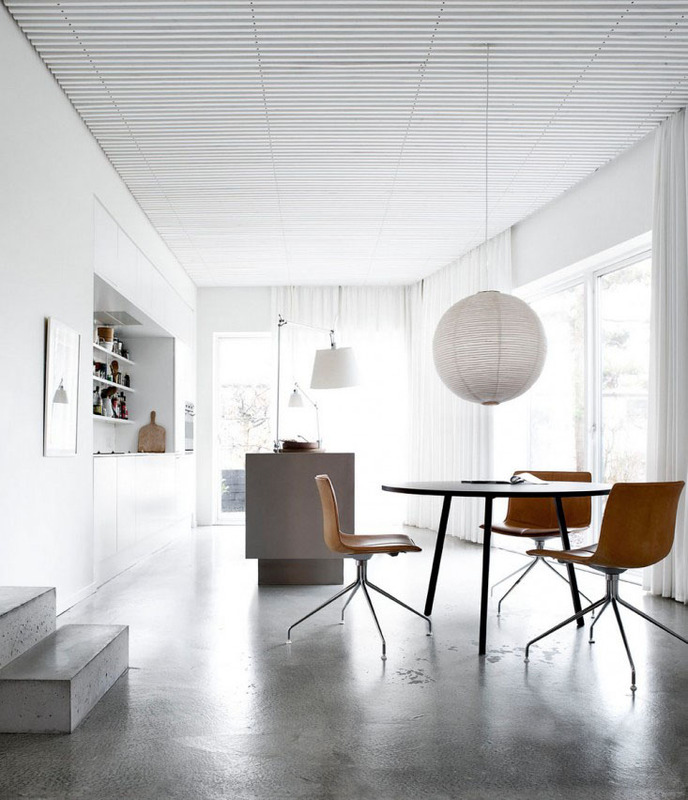 the akari pendant lamp is an iconic part of the akari light sculpture series designed by isamu noguchi beginning in 1951. the series has been handmade for over half a century by the original manufacturer in gifu japan. the paper lamp is a harmonious blend of japanese handcraft and modernist form created from handmade washi paper and bamboo ribbing supported by a metal frame. this lamp is fully licensed and made available by the noguchi museum. each genuine akari model will have a stamped red sun and half moon with japan written under the symbol on the shade. next to the symbol will be the signature I. Noguchi. During the tour of Ozeki’s workshop, master craftsman Akio Suzumura demonstrated how the lanterns are made. Each Akari is handcrafted, from the making of washi paper (derived from the inner bark of the mulberry tree) to the wooden form and bamboo ribs. To make a lantern from scratch involves about 20 processes, from making the wooden frame and bamboo ribs to stretching the ribs across the frame and gluing the paper to installing the electrical components. 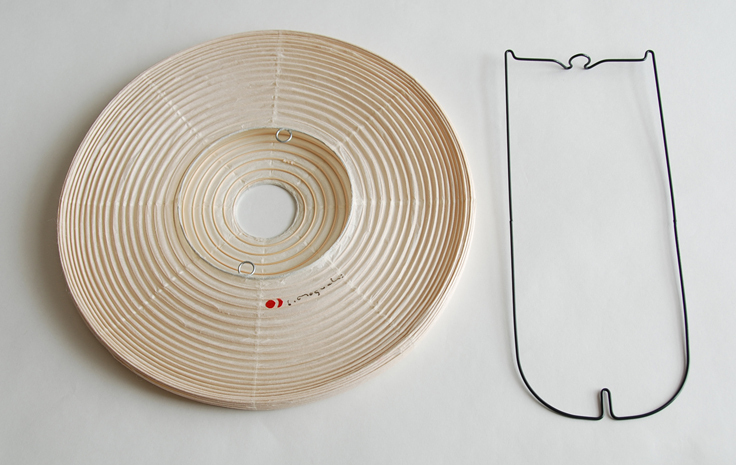 “Bamboo ribbing is stretched across wooden moulded forms designed by Noguchi sensei (teacher),” says Suzumura, 62. He joined Ozeki at the age of 17 and had the opportunity to work personally with Noguchi. Based on his sketches, Noguchi created the prototype lamps using polystyrene foam. Then the craftsmen shaped the wooden frames following his forms. “He was very involved in the whole process and he learned lantern-making from the craftsmen,” says Suzumura, one of three lantern artisans in Gifu recognised as a master craftsman by the Japanese government. Although Ozeki assembles the lamps, the installation of electrical components is outsourced. The bamboo ribs/wire (higo) are sourced from Kumamoto Prefecture in Kyushu. The company replaced the use of handmade washi with machine-produced washi about 20 years, Shinoda says. 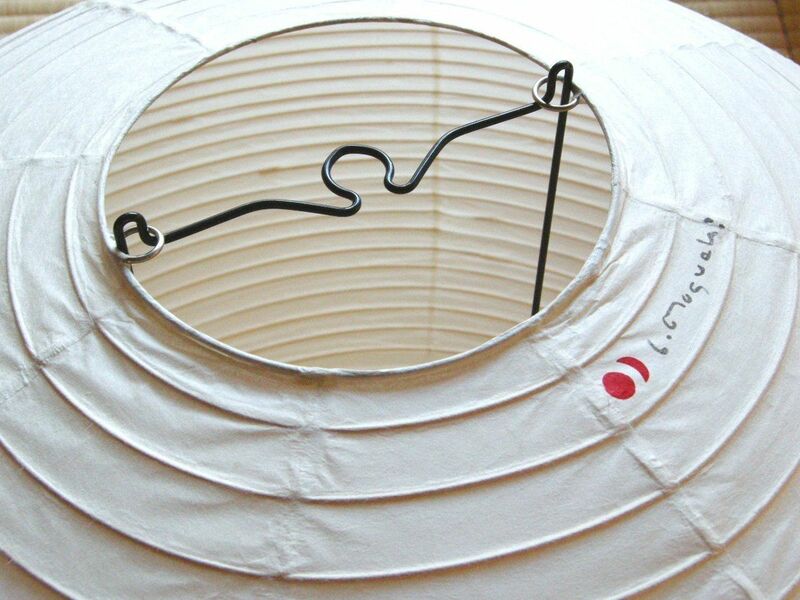 “It would be too expensive to produce the Akari using handmade washi. Besides, the quality of machine-made washi is comparable to handmade ones these days,” he explains. 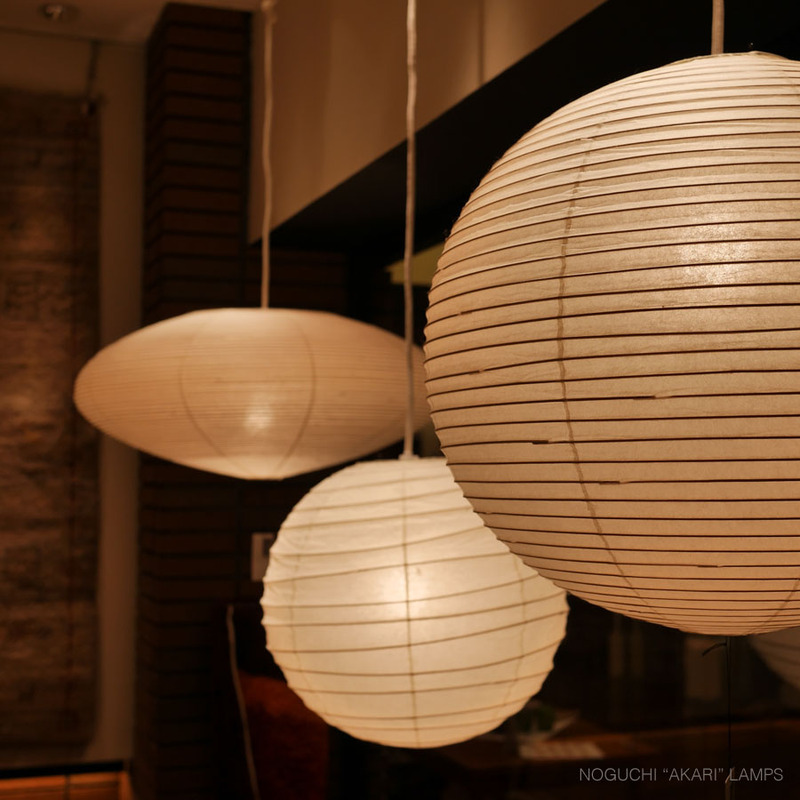 In The Life Of Isamu Noguchi, Noguchi says that “the Akari lamps are not status symbols. They are evidence of taste that does not depend on whether one is rich or poor. 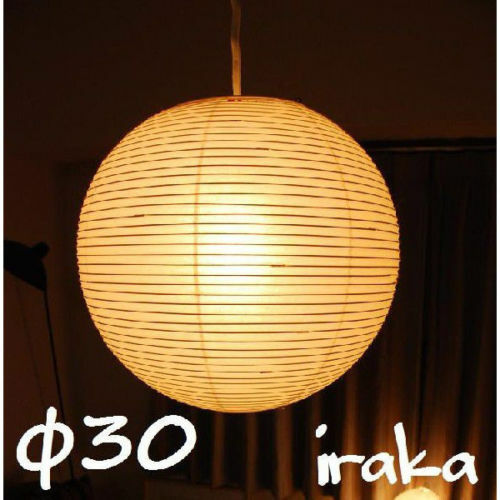 They add to the quality of life, and they fill any world with light.” In fact, an Akari table lamp sold for US$6.95 in an emporium in New York in 1964, according to a New York Times report. Today, the same table lamps retails at about US$100 (RM321.55) at the Noguchi Museum in New York.